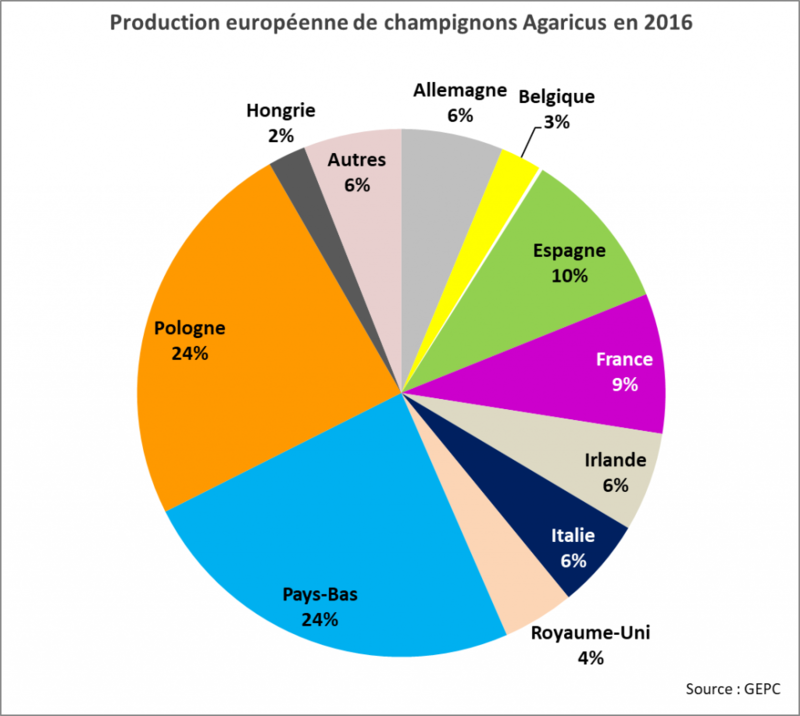 In 2016, the 10 Member Countries of the GEPC accounted for 90% of the overall European production of mushroom, which amounted to 1,119,600 tons – feet cut. 65 % of the production is destined to the fresh market, the 35 % remaining are valorized for the processed market. The GEPC closely monitors the production figures of mushrooms in Europe.